Dr. Ruth Nalliah received a B.A. in chemistry from Bluffton College in 1989 and a Ph.D. in physical chemistry from the University of Toledo in 1995, having worked on a project involving laser Raman spectroscopy of heme, the active molecule in hemoglobin. Dr. Nalliah joined the faculty of Huntington University in 1995, teaches physical and analytical chemistry in addition to freshman chemistry, and serves as the pre-medical adviser for chemistry majors. 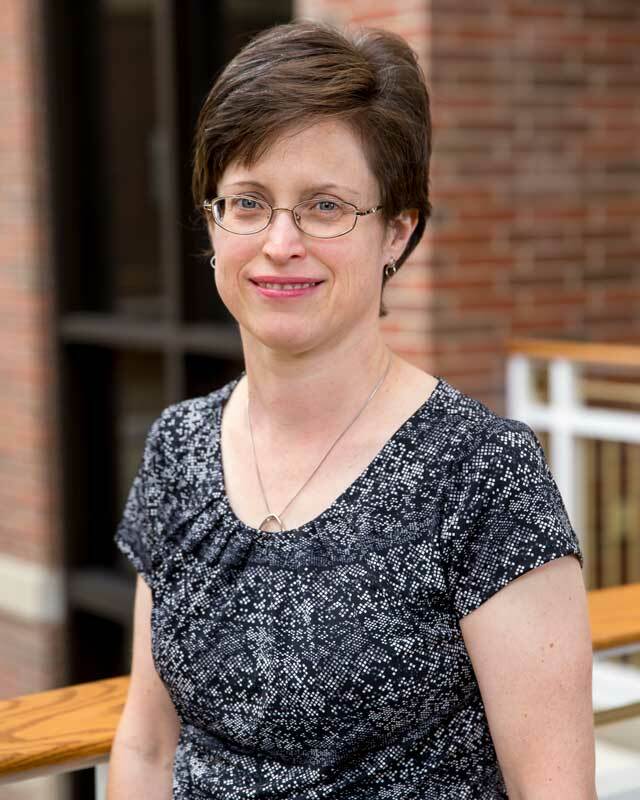 She also works periodically on summer research projects with students, having directed student summer research projects involving studies of biologically-related colored pigments such as porphyrins and anthocyanins, and has co-authored several publications with students. She is a member of the American Chemical Society, the Indiana Academy of Science, the Midwest Association of Chemistry Teachers in Liberal Arts Colleges, and the Association of Managers of Magnetic Resonance Laboratories. Ruth is married to Paul and is the mother of two school-aged daughters. Family hobbies include astronomy and music.